Moving trucks are one of the most commonly used moving tools. Not many people have a vehicle large enough to transport all of their household goods when it comes time to move and many people do not want to take multiple trips on a day when time is critically important. This is when it’s useful to have a reliable moving service. Aable 2 Stowit has years of experience helping the residents of Gary, Indiana with their moves. We’ve demonstrated reliability and a consistently high margin of service for our customers. Need a moving truck? Call us today! Being the best U-Haul dealer in the area, it is our pleasure to provide our customers with the sort of security they need in order to maintain a stress-free move to a new home. With our fleet of different sized moving trucks, we can help you move anything, from a small studio apartment to a large house for a whole family. If we do not have the particular truck size you’re looking for on any given moving day, let us know and we will bring one over from one of our sister stores! 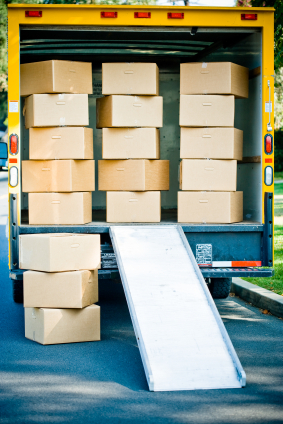 We’re happy to rent our moving trucks to anyone who is eligible to use them according to age and driving restrictions. We want to make sure that not only our moving trucks are safe, but that you are as well. That’s why we offer insurance at different levels. We provide options ranging from basic coverage to extended coverage that protects both the truck and the items within it. While you may not think you’ll need it, sometimes it’s better to be safe than sorry. Contact our team today to learn more about our truck sizes and reserve yours today!